The much-anticipated next generation of Galaxy S phones has finally arrived on U.S. shores. Samsung is unveiling Galaxy S II phones for AT&T, Sprint, and T-Mobile at an event this evening in New York. The Epic 4G Touch for Sprint will available on Sept. 16 and will cost $200 with a two-year contract. We're still waiting on availability and pricing details from T-Mobile and AT&T. 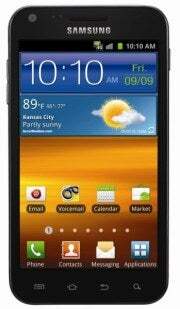 I first saw the Samsung Galaxy S II back in February when it debuted at the Mobile World Congress in Barcelona. The phone launched shortly afterward in Europe and South Korea, where consumers bought 5 million smartphones in 85 days, making the Galaxy S II the fastest-selling Samsung phone ever. All of the phones ship with Android 2.3 (Gingerbread) as well as a new version of Samsung’s TouchWiz user interface. The revamped TouchWiz 4.0 is fairly similar to the previous version, but it has a few aesthetic and functional enhancements here and there. For instance, the new lock screen displays missed calls and unread text messages; you can swipe these notifications rather than having to unlock your phone and then dig through menus to find the missed messages. The Galaxy S II's keyboard isn't the native Android one, but it retains the multitouch key-chording feature (you can simultaneously press Shift and a letter to produce a symbol or number--no need to switch between modes) and the ability to use your voice to correct words as you type. 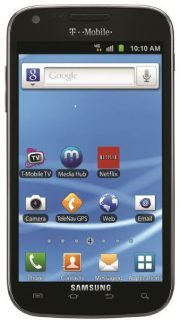 All of the Galaxy S II phones have six-axis motion sensing, powered by an accelerometer and gyroscope. This feature is great for gaming, but Samsung also throws in some gesture-based controls for the phones. For example, you can zoom in and out of images in your gallery or in the browser by tilting the phone. It's a neat idea, but when I tried the function out on the European Galaxy S II, it felt a bit awkward. Like all Galaxy phones, the S II provides Samsung's Media Hub for your movie- and TV-watching pleasure. In my tests, video looked fantastic on the handset's display and played back smoothly. Even if you don't like Media Hub, you'll want to watch a lot of movies and TV shows on one of these phones because the display is so fantastic. All three look pretty similar to the European version: Piano black slabs with textured backings. The AT&T version has a 4.3-inch display while the Sprint and T-Mobile versions have 4.5-inch displays. The Sprint and T-Mobile versions have more rounded corners than the AT&T and European versions. 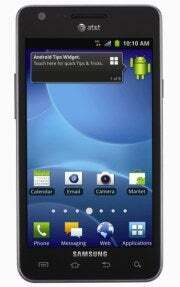 Both the Sprint and AT&T versions are powered by a 1.20-GHz dual-core Samsung Exynos processor. The Sprint version will hook into the carrier's 4G WiMax network while the AT&T version connects its HSPA+ 21 4G network. All of the phones will ship with an 8-megapixel camera with 1080p HD video recording and a front-facing 2-megapixel camera. The AT&T version will come loaded with Live TV, Qik, Words with Friends and a Yellow Pages app. The Sprint version will come with Sprint Music Plus, Sprint Radio, Sprint TV, Sprint Idea and a few other pieces of bloatware. Other than the display size, we unfortunately do not have any confirmed specs on the T-Mobile version at this time. Noticeably missing from this announcement is a Verizon 4G LTE Galaxy S II phone. When we met with Samsung last week, company reps told us that no Galaxy S phone was slated to come to Verizon later. Samsung does say, however, to expect future Verizon LTE products. This means Verizon customers will either have to hold out for a bit or go for one of the many Droids currently on the carrier. We’ll be getting our hands on the new phones tonight at Samsung’s event, so stay tuned for pictures and analysis!